When you find yourself looking for a Korean translation service in Hong Kong, it can be difficult to know which company to choose. However, with the trustworthy, reliable, professional help of Translation Services HK, we can make your decision much easier. You need to have confidence that your Korean translator will be accurate in all their translations, whatever the complexity of the documents, videos, or other media you require translating. We are happy to provide that service and are sure in our ability to deliver the Korean document translation you need in a timely, professional manner. 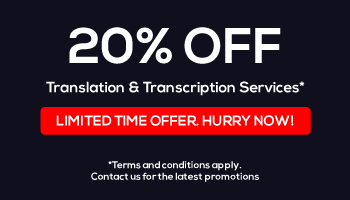 Our team of translators is fully qualified and highly experienced, undergoing rigorous testing to ensure that the service they deliver to our clients is of exceptional quality and without error. This allows you to feel comfortable handing over your documents to us, whatever their contents. We keep our clients’ business private and their required items for translation secure, giving you peace of mind. At Translation Service HK, we’re confident that our translations will provide you with the accuracy, clarity and depth of understanding you require. Whatever Korean document translation you require, we have the qualified and experienced staff on hand to help. Please contact us today for more information on our individual Korean translation services – we’re happy to tailor our service to your specific needs, providing you with high-quality translations that you’d expect from our established company. Whatever their background or native language, you guarantee that we ensure our staff are fully prepared to translate your Korean documents efficiently and professionally, no matter how challenging or complex. With our Korean translation, your texts will now read fluently and flawlessly, without error or issue, helping you to make sense of your documents. Our staff are trained to ensure that they are highly professional and produce work of the utmost quality at all times, whether it’s one paragraph you need a translation for or twenty pages. Korean is a highly technical language that is spoken by 78 million people worldwide. It has seven speech levels, each with alternative levels of formality dependent on their verb endings, with the lowest level grouped singularly as ‘banmal’ in Korean. The other six levels are grouped as one. 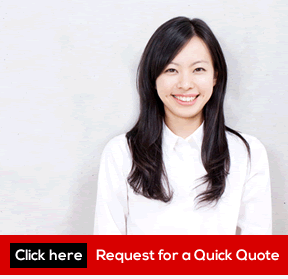 For the highest quality Korean translation service in Hong Kong, look no further than Translation Services HK. You will not only benefit from our strong team of professionals but some of the lowest and most competitive pricing in Hong Kong. As the largest translation company in Hong Kong, we have a fine reputation and a bank of staff ready and waiting to fluently translate whatever Korean media you send to us in time for your required deadline. Call us today for a FREE quote and to find out more.